1943 Battle of Midway Nintendo Capcom NES Factory Sealed New VGA 85 Mint Rare! 1943 Battle of Midway Capcom NES New Sealed AFA VGA 85 Mint FRESH Beautiful! 1943: The Battle of Midway VGA Graded 80 NM (Nintendo NES) Brand New Sealed! 1943: The Battle of Midway (Nintendo, 1988 NES) tested! 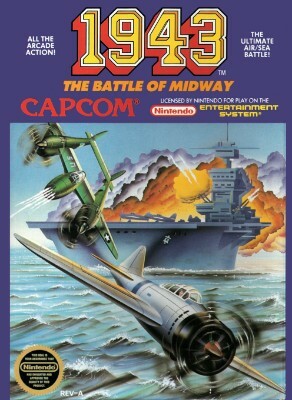 1943: The Battle of Midway (Nintendo NES) WORKS GREAT!